Antique French country table with 3 drawers, one on each end and another in the center. 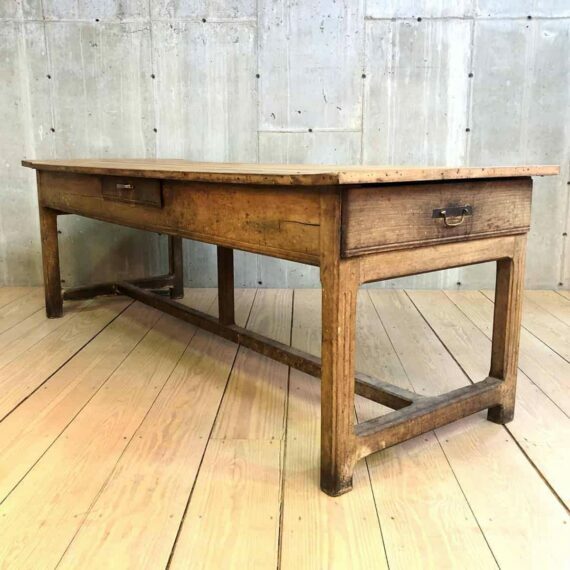 Originally a baker’s table, it could also serve as a perfect kitchen work table, oversized console, or gardener’s table. 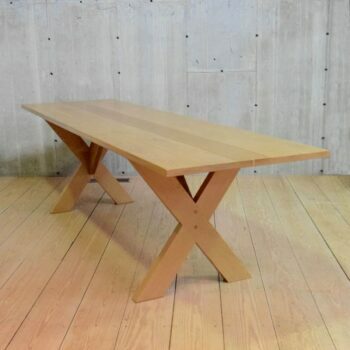 Would make a wonderful rustic farm style dining table.